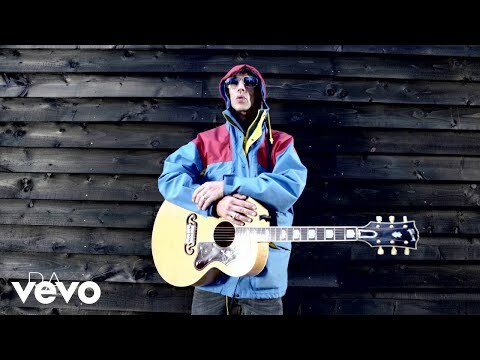 Richard Ashcroft of the Verve isn't part of rock music's big-is-bad crowd. "I don't see popularity as something to be afraid of," he says. And he's willing to do what it takes to get there. Sell one of its songs for a commercial? The Verve wasn't crazy about the idea, but it's one of the moves that's put the band on the road to the top of the charts. LONDON- The Verve's Richard Ashcroft, British rock's man of the moment, appears drained as he steps into a backstage room at the Brixton Academy concert hall on what should be a night of triumph. It's two hours before the Brit Awards, the English equivalent of the Grammy's, start across town at the London Docklands Arena, and the Verve is the odds-on favorite to win best band and best album honors over such heralded rivals as Oasis, Radiohead and Prodigy. Sure enough, they took home both trophies, climaxing a remarkable comeback year in which the Verve's "Urban Hymns" album sold 5 million copies world-wide, thanks largely to the melancholy hit "Bittersweet Symphony." The haunting single was featured in a high profile Nike commercial in the U.S. and has subsequently leaped into the Top 20. Yet Ashcroft, 26, is anything but joyful at the Academy, from which one of the songs in the band's concert that night will be shown live on the Brit Awards telecast. He is fried from months of non-stop touring and faces the prospect of yet another whirlwind trek to the U.S. before any possible break. On top of that, the day's sound check ran an hour late and there was a hassle with the TV technicians over the lighting. Not noticing a reporter sitting behind him, Ashcroft complains to a tour aide, "On top of everything, I've got to do some [expletive] interview." It's an awkward moment as the aide diplomatically points out the reporter's presence. Spinning around, an embarrassed Ashcroft says, "Oh, I'm sorry. I didn't mean anything personal. It's just that there's too much going on at the moment. It's been non-stop for months, and now we're supposed to go back to America for some more shows. It's just insane." It's a common, even tiresome theme in rock in the '90s- the difficulties of success. But Ashcroft isn't someone who has any desire to retreat from stardom, despite his momentary frustrations. Rather than feel uncomfortable when embraced by mainstream fans, as Nirvana and, initially, Pearl Jam did, a new cadre of British bands including the Verve and Oasis, sees the acceptance as confirmation that their music is touching an audience. "I don't see popularity as something to be afraid of," Ashcroft says later. "Most of the bands that I loved were popular, form the Beatles to the Stone Roses. It is the most exciting thing in the world to know that there is all this excitement over your record or your next concert. "What bothers me isn't being No. 1. . . . Look at bands that get to this position and see how many get torn apart from the demands put upon them. . . . The constant touring, the obscene [tabloid] mentality in this country, the fight to preserve the integrity of your music." Ashcroft touches on an important, often overlooked point in today's pop-rock scene when he talks about the importance of mental toughness. "When I was growing up, I though the only thing you needed to do was make a great record and everything would take care of itself in music, "Ashcroft says during the interview. "But what I thought was the finish line is just the starting point. There's a reason they call this the music business." As the potential world-wide revenue from the album and concert sales has increased as much as tenfold from the days of Elvis Presley and the Beatles, the demands on artists too, have multiplied. Besides talent, sustained success more than ever requires the focus and judgement to make the right decisions in all sorts of areas, from length of tours to degree of media exposure. "It's not just the songs you write, but the mistakes you avoid," U2's Bono once said. The ability to navigate treacherous industry waters is what has enabled U2 and R.E.M. to become fixtures in pop-rock for almost two decades. Pearl Jam, Nine Inch Nails, the Smashing Pumpkins and Oasis have made it to the edge of this contemporary elite, but none has shown the continued commercial and creative consistency to cross the line and join in. With the success of "Urban Hymns," the Verve enters the list of contenders. It's music reflects many of the purposeful themes, including the struggle between disillusionment and idealism, and unshakeable melodies that fans of '60s and '70s rock often say are missing from today's rock groups. In the album's best moments, Ashcroft writes about despair as convincingly as Neil Young did in his landmark album "Tonight's the Night," yet injects the songs with the accessibility and optimism that so often accompany the greatest pop-rock works. It's a delicate balance, but one that makes the Verve such a stirring force at a time when so much U.S. rock has become dominated by novelty and flash. Equally important, the Verve has shown in its handling of potential crises regarding "Bittersweet Symphony" the mental toughness to suggest it can avoid the pitfalls that so often keep talented groups from reaching rock's top level. Not only did the group and its manager convince one of the record industry's most feared negotiators to change his mind and allow a sample of a Rolling Stones song to be used as the centrepiece of "Symphony," but the band also avoided the potential disaster of having the song licensed for a tacky commercial. A mistake in either experience might have left "Urban Hymns" as an acclaimed album, but far from the commercial blockbuster that it has become. "The last thing in the world I wanted was for one of my songs to be used in a commercial. I'm still sick about it," says Ashcroft about the Nike experience. "But it could have been worse. If we didn't fight for the song, 'Symphony' would have ended up in a cheeseburger ad and no one could ever have taken our record seriously again." As Ashcroft sits backstage at the Academy, it's easy to see why Spin magazine e would describe the young Englishman as someone "who appears genetically engineered for rock stardom." His pouty good looks remind you of such '70s punk/new wave heartthrobs as Richard Hell and Tom Verlaine. But the case for Ashcroft's being destined for success go much deeper than the physical traits that the magazine has in mind- the "angular features, the puffy lips, the chalky complexion." The singer and songwriter also reflects the maturity and poise of someone who grew up knowing he was going to be a rock star. "One reason I wanted to work with Richard was he's got tremendous intuition about what is important and what works for him," says Jazz Summers, a veteran British manager who began working with Verve in the Fall of 1996. Summers was also stuck on first meeting Ashcroft by the musicians' ambition and determination. "I said, 'You can be the biggest band in the world.'" Ashcroft began planing early for a life of rock 'n' roll. He was still in his teens when the Verve made its public debut in 1990, but the roots of his ambition were formed earlier, when his father died in the early '80s. The future Verve leader was just 11 and the death drove home to him the lack of opportunity for so many working-class youth in the Manchester area-including the Gallager brothers, who went on to form Oasis. "My father's death showed how fleeting life is and how he had such little chance because of his background to make anything out of himself," Ashcroft says, slouched in a chair as if saving his energy for the concert. "He worked in an office for a while and had other jobs, but he was unemployed for a long time because of his health. "And it wasn't just my father. No one in our family has ever done anything. They just didn't have the time or the options. And I didn't want it to happen to me." Ashcroft, thrilled at an early age by his parents' Beatles and Pink Floyd records, found his future in music. The real breakthrough came when, at age 15, he saw the Stone Roses in concert. It wasn't just the music of the influential band that stirred him, but also the fact that the group was from Manchester and had working-class roots similar to his. Soon after making its public debut, the original Verve lineup-Ashcroft, guitarist Nick McCabe, bassist Simon Jones and drummer Peter Salisbury-made a demo tape that led to a record contract with Hut Records, a subsidiary of Virgin Records. The band's first album, 1993's "A Storm in Heaven," brought some early attention, but the emotional punch of Ashcroft's song writing was largely lost in a psychedelic haze. It wasn't until 1995's "A Northern Soul" that the group began exhibiting the song writing craft that would characterize "Urban Hymns." Just when it seemed the Verve was headed for the top in England, the group fell apart. Although everything from drug abuse to the rigors of touring to the clashes between Ashcroft and McCabe were cited in the 1995 break-up, looking back, Ashcroft feels the biggest problems were immaturity and a lack of communication. Disillusioned, Ashcroft went into a studio and poured himself into writing. It was during this period that he drew on the memory of his father's death to write the lyrics to "Bittersweet Symphony." They include the lines, "It's a bittersweet symphony / That's life . . / You're a slave to money / Then you die / . . . I can change, I can change." Ashcroft framed the words brilliantly with a lavish string arrangement that built around a sample-an actual sound bite-from an obscure '60s instrumental version of the Rolling Stones' "The Last Time," which featured an orchestral arrangement by one-time Stones manager Andrew Loog Oldham. After more than a year of experimenting with other musicians, Ashcroft patched things up with McCabe, whose guitar work brings an inspired musical edge to the Verve's work. With the band expanded to include second guitarist Simon Tong and with Summers as the new manager, the Verve looked forward to 1997 with confidence. So, you can imagine the panic when word came just weeks before the release of the "Symphony" single that the group might have to scrap the record because it couldn't get permission to sample the Stones song in it. In the story of "Urban Hymns," it was potential crisis No. 1. With the rise of hip-hop, sampling has become a routine element in recordings. If an artist wants to use a sample, the record company simply pays a negotiated fee and gives the original recording credit on the label copy. The trouble in the Verve's case was that Allen Klein, who's ABKCO Music, Inc. controls the copyright on the early Stones material, doesn't believe in sampling. He turned down the Verve's request for license approval. "I don't care if everyone else in the world allows it, I don't agree with sampling as a matter of principle and certainly not on a Stones song," Klein, who managed the Rolling Stones and the Beatles for a spell in the '60s, said in a separate interview. Knowing Klein's reputation as a formidable negotiator, Summers warned the Verve that Klein could demand a steep price-if he could be persuaded to change his position. "I told them. . .you could lose all the publishing [rights]," says Summers, who helped guide George Michael and Wham! to stardom in the '80s. So, they had a discussion. Someone said, '[Expletive] it. Let's not put it out.' But the [consensus] was that it is a great piece of music and it doesn't matter who got the publishing. So we went ahead." Summers spoke to ABKCO Vice President Iris Keitel, putting "every ounce of persuasion and charm that I could into a half-hour conversation. I even pointed out that this record could be huge and it could make them a lot of money. But nothing. A stone wall." In a final attempt to salvage the recording, Summers turned to Ken Berry, president of EMI Recorded Music, whose Virgin label releases both the Verve and Rolling Stones albums. Summers hoped that Klein would reverse his position as a personal favour to the industry power. After one request was turned down, Berry went personally to Klein's office and played him the recording of "Symphony." To everyone's delight, Klein gave in. "The truth is I liked the record," Klein said of his reversal. "I didn't do it just as a favour to Ken Berry. If it had been a terrible record, I would never have allowed the sample to be used." Summers was even more pleased when he heard that the financial split on the publishing would be "50-50"-a reference he assumed meant 50% of the song writing royalties to the Stones and 50% to the Verve. But the 50-50, he learned later, really meant 50% for Mick Jagger and 50% for Keith Richard's. All that Ashcroft would get from the publishing of Rolling Stones magazine's single of the year was $1,000 for the lyrics. The song would be credited to Jagger-Richards. The Verve was rewarded for its faith in "Symphony" when the single entered the British charts at No. 2. last year, building enough interest in the album for "Urban Hymns" to sell 250,000 copies during its first week in the stores. That's the fifth-highest first week total in British record history. But the celebration didn't last long. Looming ahead: Crisis No. 2. Given the excitement over "Bittersweet Symphony," no one should have been surprised when the band soon began getting overtures from advertising agencies, which are particularly aggressive about using contemporary bands in commercials in England. Ashcroft said no to the agencies and thought the issue was over. The trouble, the band eventually realized, was that the Verve didn't own the copyright to "Symphony." ABKCO maintained that "Symphony" was simply a reworking of "The Last Time," and the licensing agreement for the sample acknowledged that the copyright for the song remained with ABKCO. That meant that although the Verve could control the use of their actual recording, the band was powerless to stop an agency from getting permission from ABKCO to use the song and then having other musicians copy the Verve's recording. And ABKCO did get inquiries about "Symphony" from ad agencies in the fall, including Nike and General Motors, Klein confirmed. "To my horror, a track that I think is one of the greatest singles of all time was going to be swallowed up by mass culture and there was nothing I was going to be able to do about it," Ashcroft said. That's when Summers came up with the Nike solution. As it turned out, the Nike commercial-however distasteful in principle to the band proved to be a major breakthrough for the Verve in the U.S. Though the single had been widely played on college and alternative radio and was beginning to pick up airplay on pop stations, the Nike ad caused both consumer interest and mainstream airplay to increase. When the commercial debuted in January during the National Football League playoffs, "Urban Hymns" had been on the U.S. sales charts for almost four months reaching a peak position of No. 63. Since then, the album climbed into the Top 30. Album sales since mid- January have nearly doubled to around 700,000. Another U.S. tour could push sales past the million mark here. The band was scheduled to return to the U.S. in April to take advantage of the strong word-of-mouth created by a quick showcase tour last fall and the escalating success of "Symphony." But the band members eventually decided to push the tour back to July to give themselves time to unwind from their strenuous year on the road. The itinerary, which is expected to include a stop at the Arrowhead Pond of Anaheim, is expected to be announced this week. "The thing that struck me about the Verve's music was its totally honesty and vulnerability," Virgin Records executive Dave Boyd, who signed the band, said in a separate interview. "Richard wears his heart on his sleeve. . . . It's exposed for everyone to see. But he also has a keen instinct for survival. That's important, especially in Britain, where the press and the music business seduces people and then devours them." Because of the focus on the Nike ad and the radio airplay for "Symphony," the Verve could be viewed as potentially a one- song band. But there is a depth and heart to "Urban Hymns" that extends far beyond the one song. At the Academy concert this night, the audience response is as strong to "The Drugs Don't Work" and "Lucky Man," two other tracks from the album that have become No. 1 singles in England, as it is to "Symphony." In both the sweet melodies and in the generally inspiring lyrics, there is much about the Verve's music that reminds you of the craft and vitality of Oasis. The difference is that Ashcroft, on stage and apparently in his personal life, shows little of the arrogance or the confrontational tendencies of Oasis singer Liam Gallagher, whose latest headline incident was being bared last month from future Cathay Pacific Airways flights because of his behaviour on a flight from Hong Kong to Australia. Ashcroft, who has married for two years to Kate Radley, a keyboardist in the rock group Spiritualized (rock group? --ajay), keeps a relatively low profile, both in terms of interviews and in his personally life. "To me, being in a band at this level is a test of your strength as individuals," Ashcroft said earlier backstage. "And we weren't ready for it before. If we hadn't split up, I wouldn't be here today. We just weren't strong enough. Now, I believe we are. "When I was writing most of these songs, it was after the break-up and it was a discouraging time. But I realized I still had music in my life and Kate had come into my life as well. That was my hope, . . . and it's the message of the album. . . . Looking at yourself and your problems and trying to find the strength to carry on."